Well, I have decided it is time for my first written game review. I have done video 60 second reviews (here) but this tie I wanted to dedicate a little more time to it. So here goes. In this entry I am going to review the pen and paper role playing game, ‘Fiasco’ by Jason Morningstar. The tag line pretty well captures the spirit of the game. To start off with I will define a few things for players new this area of gaming, bear with me if you know all this. A pen and paper role playing game is a game you play with friends/other people and is based around you doing a bit of acting. You design a character and then you play that role throughout the game, deciding what they would do, what equipment they might use, how they might interact with others. 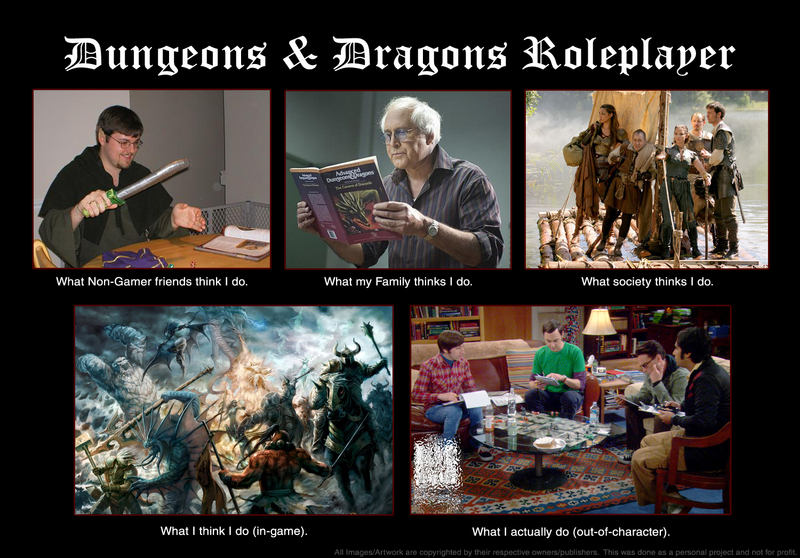 As you might be able to work out, role playing games (RPG’s) are pretty flexible and open. A pen and paper RPG is not played on a computer buy instead, most likely round a table with friends using pens and papers to record the action, track equipment etc. The most popular example of this is Dungeons & Dragons. Most role play games have one person running the game, a Game master or Dungeon master or something like that. They look after the world, design stories and plots for your characters to follow and conjure up enemies and problems to beat. Personally I really like RPG’s, I find they are incredibly social, it’s a great opportunity to meet up with a group of mates and hang out for several hours. Also they have a heap more freedom then any videogame I’ve ever played, giving you a chance to get creative. So that covers the basics of RPG’s, now onto Fiasco. Fiasco is a little different to most RPG’s in a couple of ways. First of all Fiasco doesn’t have a game master, it doesn’t have someone building the world for you and ensuring you play within the rules of the game, in fact there are very few rules indeed. Most RPG’s have a strict set of rules and mechanics to work out what happens. “So you want to break down the door? Well take your strength score, roll a dice add those together with any modifiers you have. Does your total beat the door? Yes, congrats!” This is generally how most RPG’s go, revolving round stats and dice. Fiasco is all about acting out the character. The best way to describe it is, acting out a film and that is how it is designed, with a session expected to last around 2-3 hours. “But hey! With out a Games master how do we know what to do?” I hear you cry, well have no fear. In Fiasco you work together to work out a story and through your roleplaying you make this happen. Fiasco does have a small amount of guidance though; this is part of the setup. During the setup for Fiasco, you work out a rough framework for your session. First thing to do is pick a setting, so Gangster London, Bible belt America, a Submarine, a Theatre, the list of free play lists is quite extensive. After that you roll a load of dice, this is to generate some random numbers. These numbers are used to start determining how the player’s characters are related, important locations, objects that might feature and characters wants and needs. These features are then used to give you some context and a framework to start on and develop through the story. After the setup you will have a rough idea of certain elements that will feature in the story as well as the relationships between all you characters. In the two games I have played we took a small amount of time here, to work out exactly how the story would start and some vague links between the elements. Now we are ready to start act 1. The way fiasco plays is you take it in turns to direct a scene from the story. These scenes usually involved characters interacting and doing something, but can include monologues, just descriptions of actions or anything else that is necessary or relevant. So you describe what’s going to happen, then you and all involved parties begin acting it out. Part way through the scene your friends will decide if it’s going to end well or badly for your character, and assign you a dice (these become important later on). You go round, so that each player gets two scenes then Act 1 ends. Act 1 tends to be used to set up the action for Act 2, so coming up with plans and schemes that will almost certainly go wrong! Fargo is one of the films that inspired Fiasco. Plans have been made, traps have been set, and relationships have been forged. All is going well until… THE TILT! Halfway through Fiasco everything goes wrong! Just like any good film something that happens that is just not expected and chaos ensues. This is what the Tilt table is for. After act 1 you roll for 2 elements on this table, they represent some type of disaster. So someone might die, something might get set alight, an object may go missing, betrayal anything and everything could happen. This is where it gets interesting. So act 2 starts up playing out very similarly to act 1. Everyone gets to participate in or direct 2 scenes each that start to resolve conflicts, action plans and generally start to conclude the story. All this has to make progress towards or resolve what happened in the tilt. Although the tilt is rolled before act 2 starts that is not necessarily when happened. This makes for interesting scenes as you work towards that goal, or try and deal with the fall out. While act 1 has the players establish a lot, act2 definitely sees lots of resolution. It all changes slightly in act 2 as the player gets to decide the outcome of their characters scene. So you may opt to negate the outcomes you received in the first act or concentrate on maxing out positive or negative for an exciting ending. Action will ramp up, characters motives and schemes will unravel as things go wrong, but what will happen in the aftermath! The aftermath is when you find out what happened. You take the outcomes you have been assigned (dice) and you roll them on the aftermath table to see well or badly your character overall. So you roll positive against negative, work out the difference and that gives you an outcome, ranging from “The worst thing in the world” to “Fan-F***ing-tastic!! !” You then take a few short sentences to deliver the films closing montage of your character. These can often be tragic spirals of depression of glorious rises to fame, or just mediocre existence, but are inevitably a good giggle. And with that…you have your Fiasco! Around 3 hours from top to tail, of story and role play driven fun. I was originally introduced to Fiasco via Will Wheaton’s “Tabletop” Youtube series and was instantly intrigued. I promptly picked up a copy and do not regret it at all. Fantastic webseries by Will Wheaton, him and various people play games. So far I have played in two Fiascos, and they were both wildly different. The first was set in a Titanic-esque setting aboard a transatlantic cruise ship the and in the other we were part of a small time theatre group. The cruise was full of lies, gangsters, betrayal and death, whereas the theatre was a den of debauchery, filth, one-upmanship and snakes! Both were incredible fun reducing all those involved into fits of giggles, toe curling awkwardness and heartbroken tragedy as the exploits of our characters unfolded. I must say so far I have been thoroughly impressed. Fiasco requires zero preparation time and the equipment list is 4 dice per player, some paper, a pen or 2 and access to a playset (I printed these but you could read them from a screen, you only need them for setup). I got hold of Fiasco to help me develop my story telling ability, I have always found ‘setting the scene’ difficult when I have played in previous RPG’s and this has really given me a chance to practice and hone this skill (purely because that’s pretty much the entire game). It does away with complex rules, there are no mechanics to look up or remember. I even feel you could probably do away with the dice altogether if you really wanted, although I like the semi randomness, the dice force a narrowing of the options available, so you have to work with what you get. I would very strongly recommend this anyone who enjoys role playing, especially if you prefer the role play bits to the dice rolling bits. This is purely written as a one shot system which means each session and story is separate, that being said, I guess you could do a couple of sequels if you so desired. So, it’s a brilliant game, super simple to pick up and endless replay ability due to randomness of dice and a multitude of free playsets. Pick a copy of this up, you will not regret it. Keep it in your bag and that one day a player doesn’t turn up, throw it on the table, and roll up a one shot.